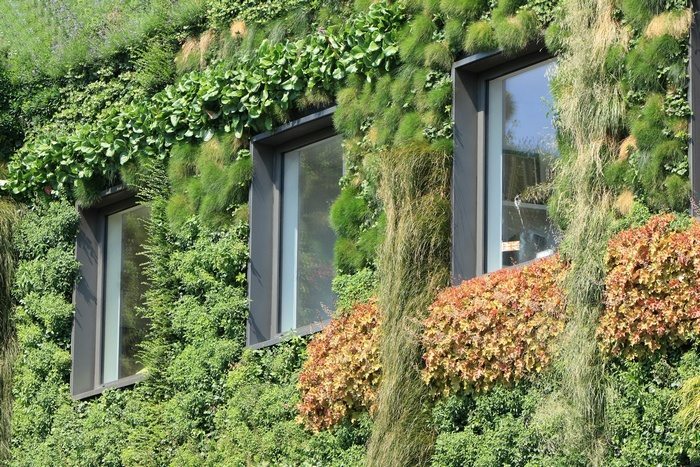 Vertical walls act as excellent thermal insulation in addition to looking great and greening cities! 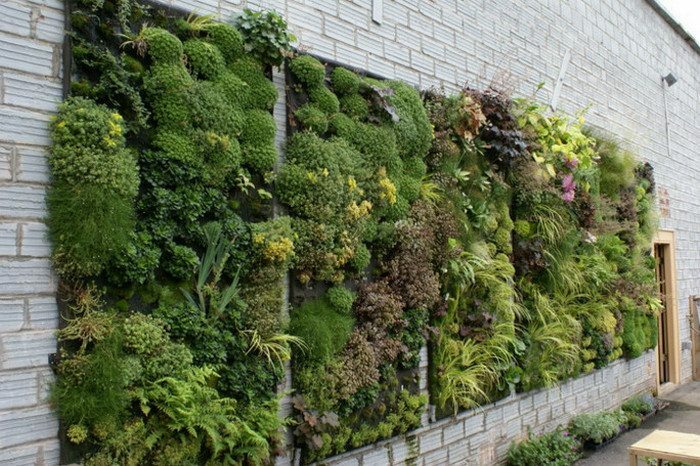 If you want to be able to make a good vertical wall garden, then you will need to be aware of a few details, either through trial and error or through the use of tips online and in areas that allow you to make some mistakes in the process until you get the hang of it. The first thing you need to do is make sure you choose the right wall for the job. The ugliest wall on your property should be the one to choose, as you will have a great way of hiding it without way too much work or gardening and landscaping to pull off. Unless you’re planning on building a really large vertical garden, then you should not need to worry about the load at all. The choice of plants will depend on the wall you’re picking and the amount of sunlight it gets, so choose wisely. The basic structures of a good vertical garden are a three layer sandwich you can make from plastic sheeting, fabric and the frame itself. Building the whole setup will be necessary before you move on to hanging it. You can attach it directly to your walls, which is the reason why you would want to assemble it first to make installing and removing it far easier in the long run if you need to make it happen. 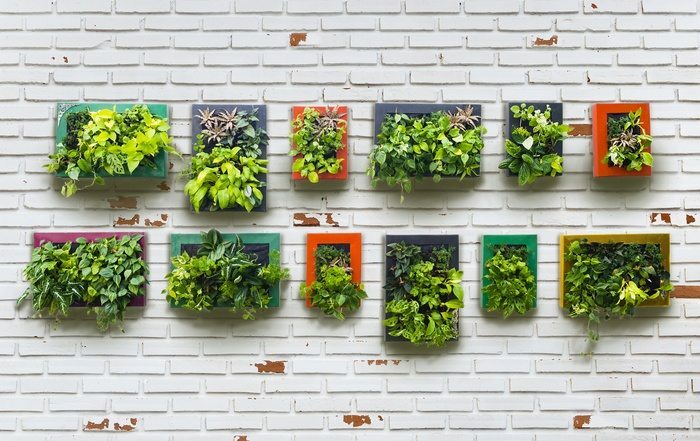 Vertical gardens come in all shapes and sizes. There’s one that will suit your home. You can use a ¾ inch PVC pipe, elbows and a set of four way joints to make your frame. You should avoid using metal because of the added expense and weight on the wall. Creeping plants will not weigh all that much so you can make do with plastic just fine. You should also avoid using wood as it will need to be pressure treated to protect it against the elements and moisture rot, since the last place you want water to be is between a wood wall and the frame itself. Just attach a sheet of plastic to the frame and allow it to work as a fabric layer, keeping the water off the wall. Expanded PVC sheets will do just fine, but if you want to do this with a wooden wall you will need to ventilate the back of the frame somehow. This material will help the plants live and it will hold water for them to consume. You can use a basic carpet padding made of felt but pretty much any material will work if it retains water without rotting in the long run. You will need at least the minimum of two layers of fabric. Attach them to the frame using galvanized screws and some stainless steel staples when you stretch the canvas across the frame. As long as the fabric is taut and secure, with no wrinkles and buckling, then you will be good to go. Attach it in a way to keep it from coming off and it will be a job well done. Another example of a low maintenance vertical garden. If you want to have plants growing on a vertical wall, then you will need a good irrigation system that allows moisture to seep through the fabric layer. You can make one out of poly tubing possessing locking fittings, as those would allow you to do some drip down irrigation as needed. Do your best to get them from an irrigation supplier that works on such solutions. You can get a standard valve with irrigation drippers, but you will need a timer that allows for seconds instead of minutes of irrigation. A quick flow of water for up to 15 seconds up to three to six times a day would be ideal for your needs. An emitter for water every 3 inches on the top irrigation tube will get the job done. To fertilize your wall, attaching the fertilizer injector will help make your irrigation work better. Hooking it up to the irrigation and connecting it to your water source will allow you to make the job easier. Remember there will be some runoff so you would do well to put a flower bed under the vertical garden for a complete combination. As it is with gardening anywhere, you will need to take some things into account, such as shade, sunlight, humidity and weather in general when you’re choosing plants. If you plan on having a winter garden, then you will need to select the right plants for that particular weather, something that would survive harsh conditions such as evergreens. To insert the plants into the outer layer of the fabric, make use of a razor blade to cut a horizontal slice into the material. Get as much soil off the root ball of the plant to stave off root rot and insert that into a cut. Using a staple gun you can insert three to five stainless steel staples to keep the cloth attached to the plastic backing in a rough semicircle around the roots, creating a secure envelope where it can stay and be watered. Heather Roberts is a content writer from London, UK. She is a keen gardener and blogger. Currently she writes for Gardeners Hackney Wick. Previous articleNine reasons you need to get rid of your lawn!